This past Wednesday, while in prayer for one of our elders, a passage of scripture was brought forth as a direction for prayer. As the passage was read, I immediately knew the Holy Spirit had this particular word in mind for me. Below is a more extended portion of what he had read, as originally only Hebrews 10:32-36 offered. The reason this text meant so much to me, comes down to context. The Hebrew believers were suffering more intense and consistent persecution with each passing day. They were suffering because they had not hid their faith or love for Jesus Christ. This was the very reason the devil was bearing down on them. Many of them were anxious, afraid and beginning to count the cost of following Jesus at all. In the midst of their trial the Holy Spirit admonishes them to hold fast to their faith in Christ’s finished work (confidence), because the promise is the greatest of rewards. What is that reward? (1 John 3:1-3) 1 Behold what manner of love the Father has bestowed on us, that we should be called children of God! Therefore the world does not know us, because it did not know Him. 2 Beloved, now we are children of God; and it has not yet been revealed what we shall be, but we know that when He is revealed, we shall be like Him, for we shall see Him as He is. 3 And everyone who has this hope in Him purifies himself, just as He is pure. In American cultural Christianity, this reward, although biblical and maybe even mouthed by many, has to a large degree been swallowed up. What has swallowed this essential “blessed hope” up, is that Christianity in America has become about self-fulfillment, self-realization and “Your Best Life Now” (to a large degree). This reality has grown to epic proportions, because for most of American history the church has not faced persecution of any real weight. But “O the times they are a “change’in”. What would you think if I told you that the persecution of the readers of the Book of Hebrews, as well as that of the Church throughout all history, is God’s plan for His children? Though it makes little sense to my flesh, Christian suffering is within the will and plan of God. Therefore we must be appropriately equipped to endure, by focusing on our blessed hope, but also by understanding what God is accomplishing through that suffering. When I think of the relationship Jesus had with the Father, where on more than one occasion the Father thundered from heaven “This is My beloved Son, I delight in Him”, It presses me towards reconciling those statements with the contents of Isaiah 53:10. The reconciliation is much more practical than we might think: God the Father was living His life through the Son; this is sort of similar to the inclination of human parents to live their desires through their children. Many people had or have encountered selfish parents, who are either past their glory days or never had them, yet push their children into the spotlight, driving them to succeed. Although I believe this to be potentially destructive to both child and parent, it is natural for Mom’s and Dad’s to want their child be a “chip off the old block”. Our problems begin when we want our children live our dreams and aspirations, whether those are their dreams and aspirations. With Jesus the Son and the Father, there is no such danger, as Christ is the expressed image of His person (God’s exact image), the “God-head in bodily form” (Colossians 2:9; Hebrews 1:1-3). The Christ, willing laid down His own prerogative to accomplish the Father’s will (Philippians 2:1-10). Jesus greatest joy was in making the Father known and He declared “I am in the Father and the Father is in Me” (John 14:11). Therefore, we understand Jesus was manifest in the flesh to reveal the glory of the Father. The greatest revelation of God’s glory in Christ is in the cross of Christ. This greatest revelation “pleased” our Father. This means it satisfied His justice against sin. It also pleased Him for another reason. (Colossians 2:13-15) and you, being dead in your trespasses and the circumcision of your flesh, He has made alive together with Him, having forgiven all your trespasses, having wiped out the handwriting of ordinances that was against us, which was contrary to us. And He has taken it out of the way, having nailed it to the cross. Having disarmed principalities and powers. He made a public spectacle of them, triumphing over them. How was it that Jesus made the principalities and powers a “spectacle”? The wording itself declares, that He made a public “exhibit” of His power over them, in His death and resurrection. How was this ultimately accomplished? It was accomplished in Jesus being made a humiliating “spectacle” of suffering for all to see. God showed off His power, glory, mercy, justice, redemption and love for all men, through His Son’s great suffering. Wow. In light of our passage from Hebrews this has very practical and significant meaning for us. (Hebrews 10:32-39) 32 But recall the former days in which, after you were illuminated, you endured a great struggle with sufferings: 33 partly while you were made a spectacle both by reproaches and tribulations, and partly while you became companions of those who were so treated; 34 for you had compassion on me in my chains, and joyfully accepted the plundering of your goods, knowing that you have a better and an enduring possession for yourselves in heaven. Above we can see once more the word “spectacle”. In Hebrews 10:33 the word is a little more nuanced than Colossians 2:15. 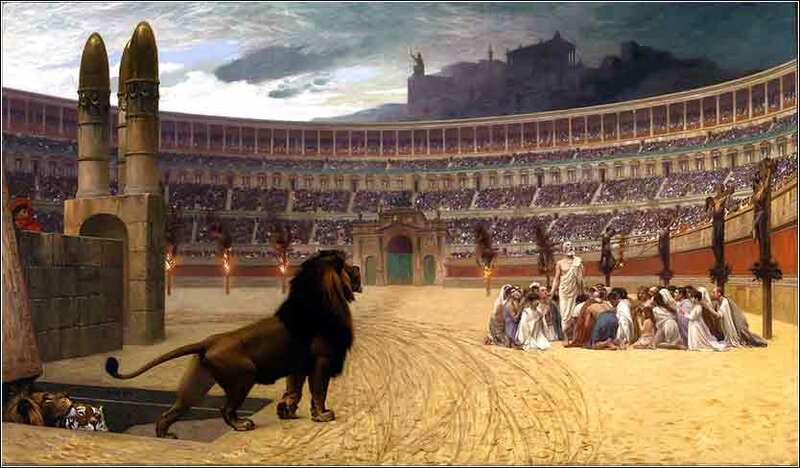 It does mean to be exhibited, but as criminal for the crowds in a theater or arena to watch, as the criminal suffered; think of gladiators suffering for the delight of blood thirsty Romans. This illustration aids our understanding. Just as Jesus suffered as a condemned criminal for us, we are seen as criminals on His behalf, before a hostile and perishing world that hates us. Whereas His death justifies us, our suffering for Him, in the Spirit’s power, pronounces His glory to all creation. Is it too much for us to believe our suffering vindicates Jesus before the world of men? Is shocking that in suffering for the testimony of Christ, by the fullness of the Holy Spirit, God’s glory and gospel are revealed better than when we are in no pain at all? (*Consider Paul’s understanding of this truth II Corinthians 4:7-12). Enduring great sufferings of reproaches and tribulation for Jesus name in faithfulness. Identifying with and supporting those who are being persecuted, by ministering to them in their suffering, which means to open themselves up to suffer as well. Identifying with and supporting those who are being persecuted, by giving whatever they have on hand materially, even if it means they are without what ever is basic to their needs. In light of these truths, are prepared for what our redemption calls us too? Do we have the same heart and mindset of Paul; “to live is Christ and to die is gain”? Maybe the most necessary question is how do we get to that place in our life, when it seems to be what God requires of the recipients of His grace? My encouragement to you: don’t try to conjure up faith that laughs in the face of fear; I’m not sure that even exists. Remember if we are truly in Christ, the measure of faith needed already exists within the heart of every believer; it simply may need to be unlocked with love. What do I mean? Simply put, our endurance is directly related to how much faith we express in trusting God’s word in the midst of suffering. The expression of that faith in endurance is directly related to how much we love Jesus. How much we love Jesus is directly related to how much we know God loves us. 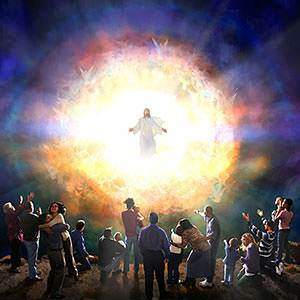 In order to endure suffering fix your eyes on Jesus, who is the manifestation of God’s love. Take your eyes off the T.V. (Hebrews 12:2) looking unto Jesus, the author and finisher of our faith, who for the joy before Him, endured the cross. despising the shame, ad is sat down at the right hand of the right hand of the throne of God. This entry was posted in author and finisher of our faith, Hebrews 10:32-39, Looking unto Jesus, Spectacle for God, Uncategorized. Bookmark the permalink.